The National Park system that exists in the United States is one of a kind. We are the only country on the planet with one-quarter of the land base open for every citizen to enjoy as they please. The federal public land system covers 618 million acres or 25% of the US land base (source). The best part about all this federal land is that each American owns an equal portion. Let’s keep our fingers crossed that it stays that way. We believe that the best way to take in the unparalleled beauty of our National Parks in their purest form is by the two-sole express (on foot). Not only will you find more clarity and peace, but you will also see places and wildlife that a vehicle simply won’t reach. These backpacking adventures can all be accomplished anywhere from 30 days at the longest and 2 days at the shortest. Some of the best backpacking trips are found in U.S. National Parks. There is a trail for everyone on this list and they should all be additions to your ever growing bucket list. Knock them off one at a time or plan a road trip for the ages. The National Park system is massive in scale and diverse in landscape. There are thousands of trails to enjoy that range from a mile to over 200 miles. We put together a list of the most epic backpacking trips found in the U.S. National Park System. 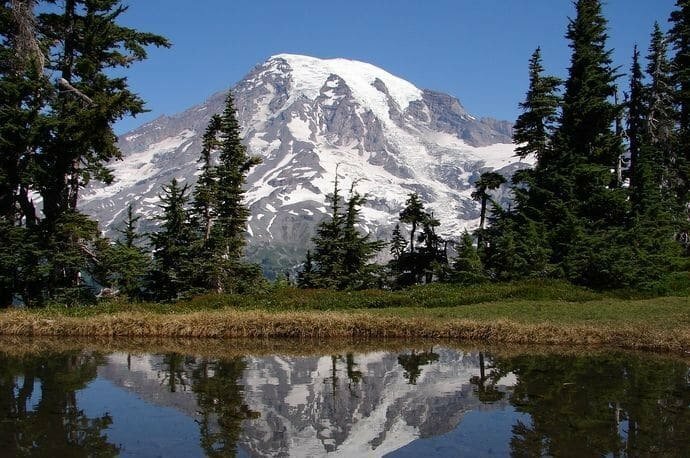 Mount Rainier National Park in Washington State is 956.6 km². Best known for the wildflowers that bloom in summer and a destination for beginning mountain climbers around the world. The peak of the mountain sits at 14,410 feet and is surrounded by alpine lakes and mountain trails. The Wonderland Trail is a 93 miles long and the path runs along the base of the mountain. It’s a tough hike with large elevation gains and drops in its entirety. The trail has 18 wilderness camps and if you plan on thru hiking the trail you are required to camp at one of the designated camps. With the iconic snow-covered peak, alpine lakes, and sheer beauty this backpacking adventure cannot be missed. The Grand Canyon National Park in Arizona is 4,926 km². 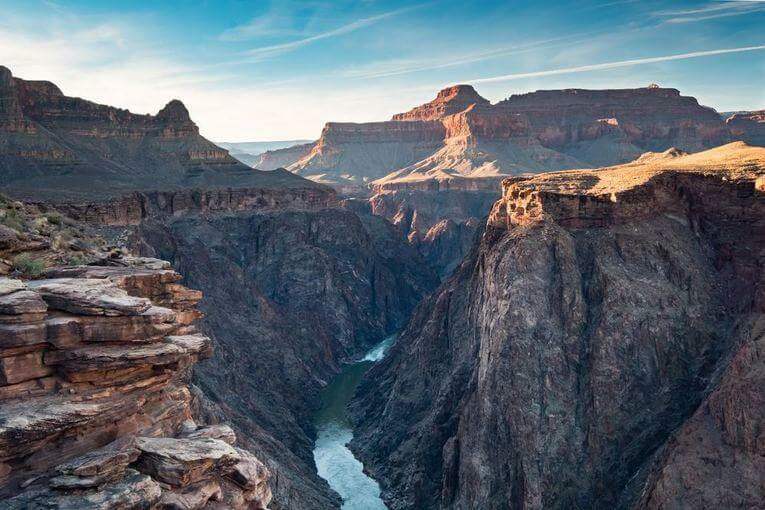 The canyon itself has been carved into the earth by the Colorado River over millions of years. The river that runs through it is 277 miles long, 18 miles wide at places, and over a mile deep (source). In 2017 roughly 6.5 million people visited this huge hole in the earth and less than 1% of visitors tackle the rim to rim hike. The rim to rim hike starts at the North Kaibab Trail on the North Rim. Taking you on a 14.3 mile hike 6000 feet down into the canyon where you can continue on or take a well deserved rest. The next section takes you on a 9.6 mile hike while climbing 4,500 feet and spitting you out on the South Rim. For those who fall in love with details, this hike has it all. 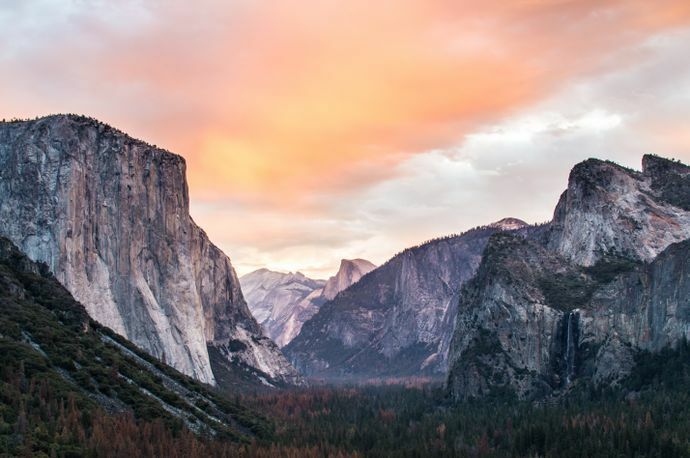 The John Muir Trail crosses through three National Parks on its 210 mile path through the wonders of the natural world. Overall, there is 47,000 feet of elevation gain and a 160-mile chunk of the trail is part of the Pacific Crest Trail. A large portion of the trail sits within designated wilderness zones. 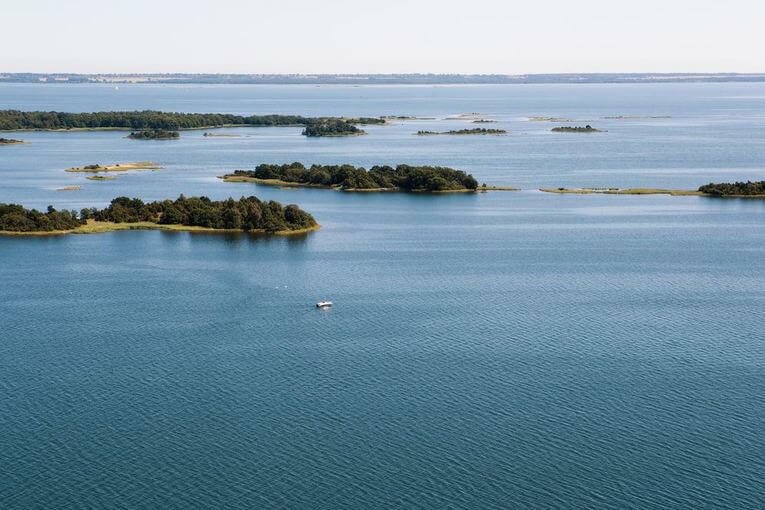 These designated zones throughout the country are federally protected to remain as pristine and untouched as possible. 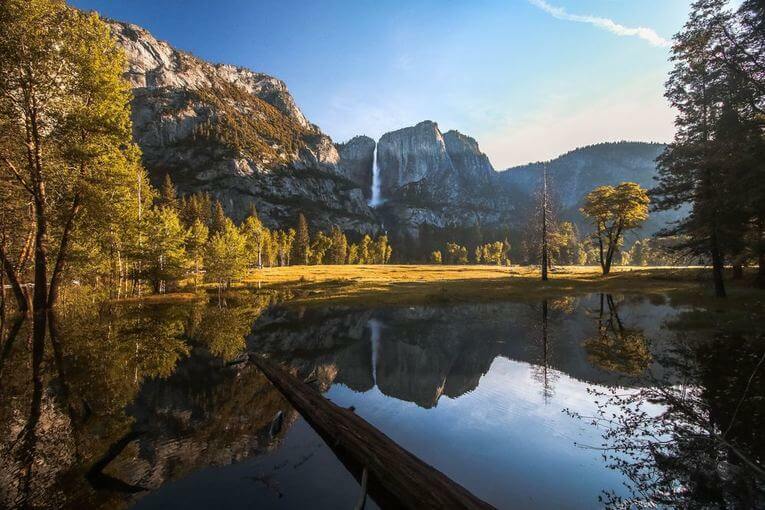 The trail begins at the terminus in Yosemite Valley, ending on Mount Whitney in Sequoia National Park. For the majority of the trail, you are hiking at or around 8,000 feet of elevation with some portions taking you as high as 10,000 feet. 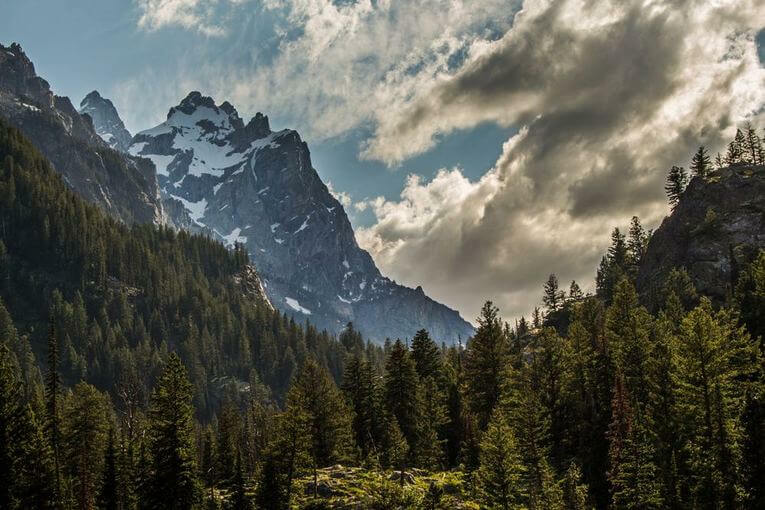 The Grand Teton National Park in Wyoming is 1,300 km² and include some of Wyoming’s most iconic landmarks. The park includes the massive peaks of the Teton Range, as well as, parts of Jackson’s Hole. The 45-mile trail begins at Phillips pass taking you through Death Canyon, finally finishing at Paintbrush Canyon. The entirety of the trail remains above the treeline for the majority of its length with breathtaking views of peaks all around you. Backpackers are required to use bear canisters along the trail and you can bring your own or the park will provide them for you. There are parts along the trail where bear canisters are not required, however, if you got ’em you might as well use ’em. The Rocky Mountain National Park covers 1,024. km and sits just 45 minutes outside the Denver airport. The Continental Divide cuts a path North to South directly through the park. The Grand Loop trail begins and ends in spots frequented by tourists, however, you quickly lose the crowds when you get into the heart of the hike. The trail is a long looping trip which circumnavigates the inside of the Rocky Mountain National Park. There is a short stretch that travels along the road North of Grand Lake. There is a convenient resupply point here if you’re running low. Overall this is a great challenge even for experienced hikers. 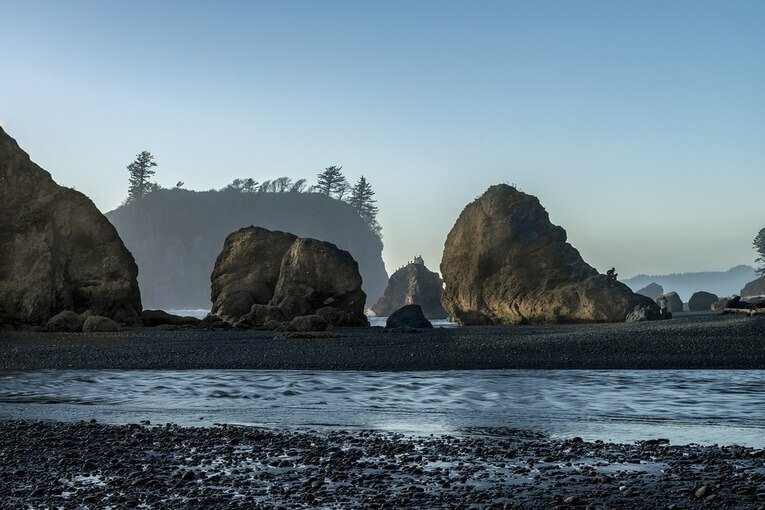 The Olympic National Park is consists of a wide range of thriving ecosystems. There’s the Pacific coastline (pictured above), the Hoh temperate rainforest, dry forests on the east side, and alpine areas. The High Divide trail and the 7 Lakes Basin is a short, yet, gorgeous trail. The 7 lakes name is misleading as there are 8 lakes bustling with life in this subalpine basin. Bear canisters are required for this trail and can be rented from the ranger station. The Olympic National Park is wildly popular and reservations for the trail begin on February 15th. You need to apply on the 15th or a few days after to increase your chances of getting the permit for camping which is tough to come by. 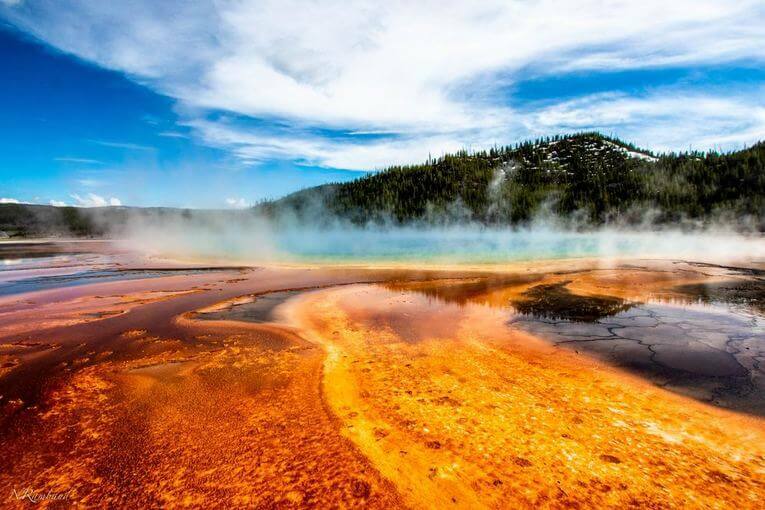 Yellowstone National Park is best known for its wildlife and geothermal activity. Established in 1972, it was the first National Park in the United States and one of the first national parks in the world. It covers 8,983 km and has over 1,386 native taxa in the park (source). This trail is one of the more difficult hiking trips in Yellowstone Park. With a 4,300 foot elevation gain but it feels like more due to the constant ups and downs along the trail. There is also a 10 mile stretch lacking any reliable water sources. Along the trail, you will have a chance to see a plethora of flora, fauna, and Bighorn sheep. Overall Yellowstone is a bucket list item for anyone who enjoys the outdoors, geysers and all. Isle Royale National Park is an island that sits in Northwest Section of Lake Superior. The main island, along with 450 smaller islands in the area make up the entirety of Isle Royale National Park. Isle Royale is 45 miles in length and 9 miles wide with a total area of 535.43 km2. The Greenstone Ridge Trail follows a low ridge which makes a spine that runs East to West on the island. There is thick forest and vegetation throughout the island so whenever you get a chance to peek down at the water and trees it’s massively impressive. Isle Royale National Park is the least visited park out of the entire National Park system most likely because of its remoteness. 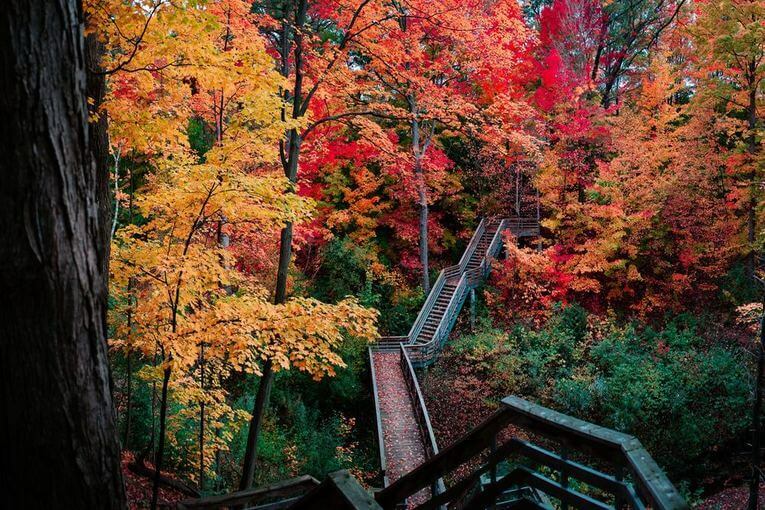 The Cuyahoga Valley National Park is a park in Northeastern Ohio. It was designated to preserve the beauty along the Cuyahoga river which is smashed in between Akron and Cleveland. The Buckeye Trail in its entirety is a 1,440 mile loop that runs all around the state of Ohio. There is natural beauty found in the form of waterfalls, hills, trails, and historic buildings that represent rural living. The Cuyahoga Valley section is fairly a challenging hike, therefore, you often find yourself alone on the trail. Keep in mind that there are a number of muddy sections and stream crossings to prepare for. Crater Lake National Park located in southern Oregon is the fifth oldest national park in the country. 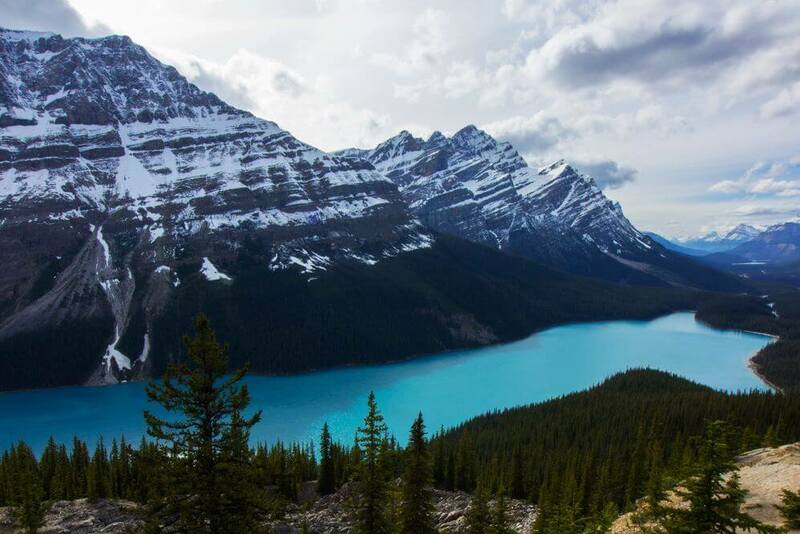 Well known for the picturesque alpine lake that sits high above sea level at 6,177 feet. A large portion of the mountain is a caldera that was formed by an enormous volcano eruption and subsequent collapse of the magma chamber (source). 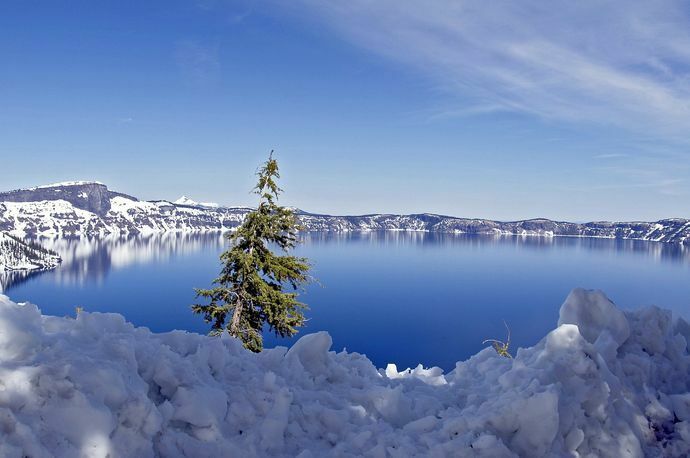 Crater Lake is a well known tourist spot in the Pacific Northwest and snowshoeing the rim is a must try bucket list experience. Not only are the crowds way smaller than summer, but the sunrises and sunsets have also you gasping in amazement. The most popular route is to begin your at Rim Village and continue counter clockwise around the lake. Cell phone coverage is extremely limited throughout, so be careful and plan accordingly. Snowshoes, a 4-season tent, rated sleeping bag, and warm clothes are a must, along with all your other winter snowshoeing gear. Bryce Canyon National Park in southeastern Utah looks like a picture taken from a Steven Spielberg movie. Not truly considered a canyon, the focal point of the park is a cityscape of towering stone spires technically called hoodoos. Ranging from 5-150 feet these stone structures are truly breathtaking. 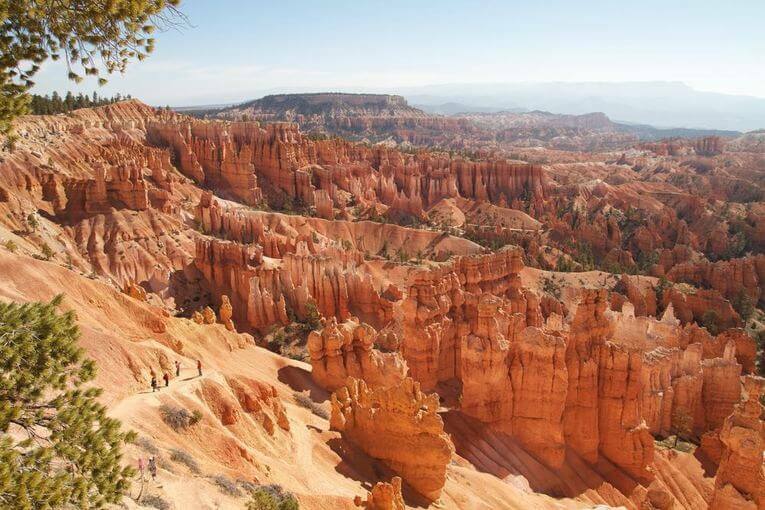 The Under the Rim trail is the longest hike in Bryce Canyon National Park, stretching from Bryce Point all the way to Rainbow Point. The trail rises and falls along the base of the park and from the floor, you get to see that park in a way very few visitors do. The climate is dry and arid with water sources few and far between so pack lots of water. With all the ups and downs of the trail, it’s a good idea to use boots that are broken in to prevent blisters. A nice way to end the trail is at Bryce Canyon Lodge for a hot meal and cold beer. The National Park system truly is a national treasure and we are all fortunate to have the privilege of enjoying. There are 58 national parks in the United States and within those parks, there is a countless number of trails to enjoy. The best way to make a connection with the public lands that are technically all of ours is to get out there and explore them on foot. To see things that you can’t see from the road and see places that we never have before. So get out there and take a hike. Keep calm and hike on.